Colonial Home with beautiful FULL In-Law suite! Buying or Selling one of the biggest investments of your lifetime? The agent you choose DOES matter. Call Donna for your personal consultation today! Here you will find a wide variety of useful information and resources designed to help you buy a house or sell your home more effectively in the Morris, Sussex & Passaic county areas and other towns within Bergen, Warren & Hunterdon counties as well. You can also search for your ideal home by viewing current listings, at home on your computer, on the MLS with detailed descriptions and photos. Or contact me to receive automatic emails on your home search parameters sent to you daily or weekly to keep you abreast of this ever changing market. Get help determining the value of your home by requesting a report that includes the prices of similar homes that recently sold or are currently for sale in the Morris County, (Jefferson Township, Oak Ridge, Lake Hopatcong, Mountain Lakes, Rockaway Twp./Boro, Denville, Montville, Parsippany, Bernards Twp, Butler, Kinnelon, Pequannock). Sussex county, (Byram, Sparta, Andover Twp./Boro, Branchville, Franklin, Hardyston, Wantage, Vernon, Newton, Green) or Passaic county (West Milford, Wayne) areas. Need assistance in determining your options for buying and selling. I am experienced in marketing short sales, preforeclosures and foreclosed properties. Always done with the utmost discretion and respect. As a local resident since 1963, and a local agent since 1993, serving Jefferson Township, West Milford, Sparta, NJ and the surrounding towns (covering most of Morris & Sussex counties as well as select areas in the entire northwestern counties), I thoroughly understand the market in my area. I have marketed over $150m worth of real estate (see the About Me section for my 'resume') and have been through the highs and lows of the market. So whether you're buying or selling, feel free to contact me and I will be happy to lend my expertise to your next...or first, real estate transaction. Are you particularly interested in homes for sale in the planned developments of Jefferson Twp. (i.e. Water's Edge, White Rock, Pond Hollow, Milton Woods, Preston Lake Estates, Sleepy Hollow, The Peaks)? Then you will definitely want to speak with me as I have represented large scale builders such as Gale, Wentworth & Dillon (representing new construction sites in Rockaway and Randolph) and Segal & Morel (respresenting Water's Edge where I sold almost 163 new construction units! There is no other agent that knows this site better). I have unique information on many of these communities. Not to mention representing several other builders in the Sussex and Morris county areas. Or maybe you'd like information on real estate for sale in a few of the great neighborhoods such as White Rock, Heather Hills, Lake Swananoa, Duffy Estate or Cozy Lake (in the Milton Oak Ridge side of Jefferson Twp.) or Lake Shawnee, Lake Forest, Prospect Point or Nolans Point (in the Lake Hopatcong side of Jefferson Twp.). Homes for sale in these areas are excellent values and there are wonderful choices for buyers at any level of their homeowning process. Desireable lakefronts for sale as well as starter homes! Interested in the beautiful communities in Sparta (Water's Edge, Sparta Mountain Reserve, Glen View Forest, Farmbrook, Sussex Mills, Ridgeview Estates). Or perhaps the charm of Lake Mohawk attracts you? I have been working out of the local real estate offices based in Sparta and Lake Mohawk for over ten years. Want to experience classical American architecture? Let me introduce you to the Hapgoods and Craftsman style homes that make Mountain Lakes a standout. Homes that are so special that they are numbered dominate the landscape in this 2.8 square mile town. Add a train station, a lake, an outstanding school district and part of the beautiful Morris County Tourne Park and you have an all time winning combination. Five minutes to the vibrant downtown Denville area...who could ask for more? Yearning for some acreage or perhaps a horse property? Consider the farmlands and forested areas of Wantage, Lafayette, Byram, Andover and West Milford (the state's largest township). Lakefront home your dream? I have extensive experience in the lake communities throughout Morris, Sussex and Passaic counties including the four towns that border Lake Hopatcong, (Jefferson Township, Hopatcong and Mt. Arlington). And I have worked in one of the two real estate offices on the boardwalk in Lake Mohawk for over 7 years. Of course there are numerous other lakes (motorboat and non) in the area that I can introduce to you. Don't forget Green Pond and Greenwood Lake! 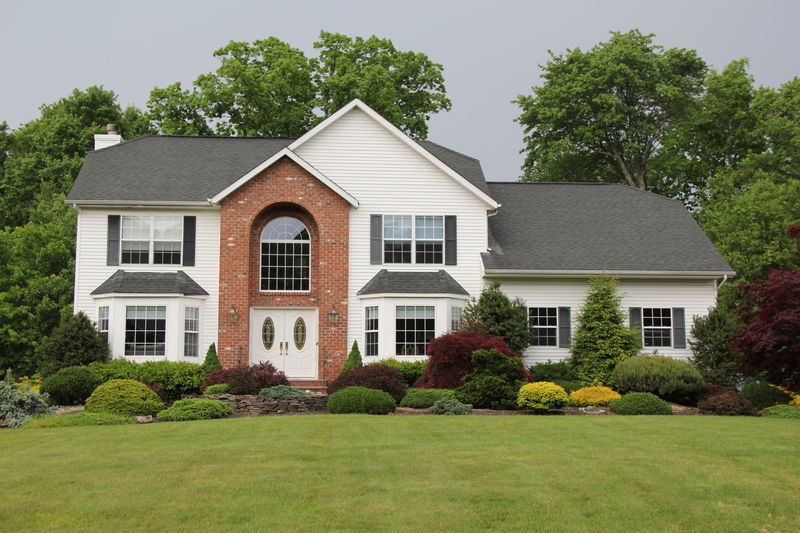 Check out the Lakefront listings in NJ link above! Call me today and let's get started. Your DREAM HOME is waiting! First time home buyers take note....interest rates are rising and homes are getting multiple bids! Don't get left out! In many areas prices are still down from the peak prices of 2004-07. Call me for the details and let's get you started on finding one of the best investments you can make in your lifetime. From your dreams to an address. Real Estate Expertise you can trust!